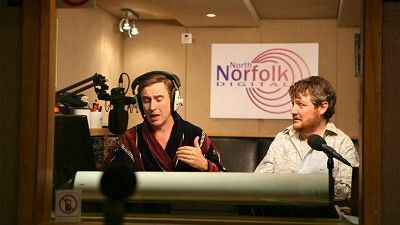 Alan and Simon are joined in the studio by Daniel, who has made a lot of money on the internet. 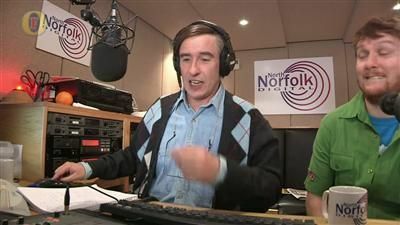 Alan talks to an agony aunt and takes a shine to his new sidekick. 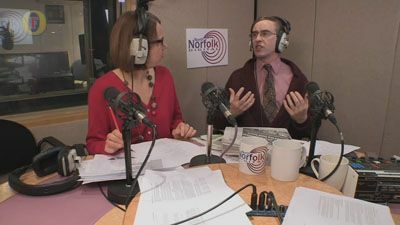 Alan co-hosts North Norfolk Digital's breakfast show. Alan jokes about vampires with Zoe whilst admiring her. 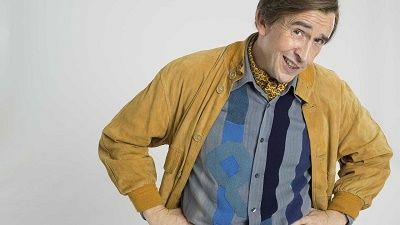 Alan fails to be nice to some young callers, and gets more than he bargained for when he chats to an ex-special forces soldier. In an uncharacteristically self-deprecating move, Alan nominates himself as "Berk of the Week". Alan invites folk musician Blackbird Goodbrook into the studio, before getting real with a reformed young offender turned youth leader. 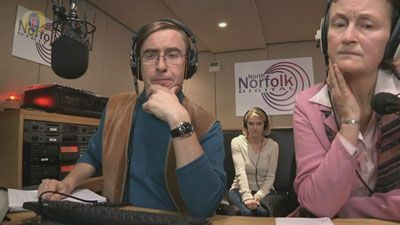 There's tension in the studio because Sidekick Simon has been a guest on a rival show. 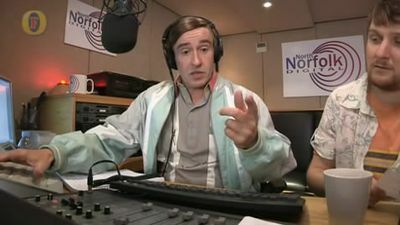 Also in this episode, Alan eats an orange, an air rifle audio game, and Alan interviews himself. 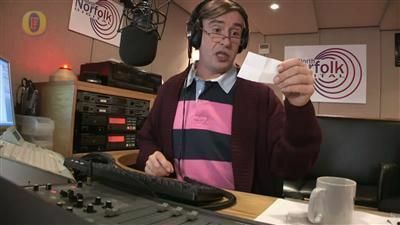 Alan talks about Japanese food; attempts to book a cinema ticket; reads a sad moving real-life story from a listener; and is stitched-up by a rival radio station. Alan Francis plays Orbital Digital's Craig Kielty. 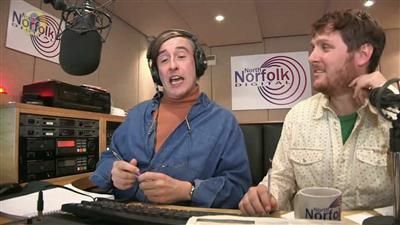 Alan gives us his impression of a partridge bird, a discussion about what car Cromwell would drive, Simon annoys Alan, and what is the best thing in the world? 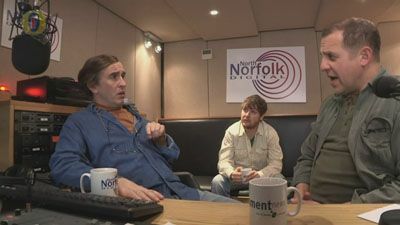 Alan hosts the first multimedia, radio-based book club in East Anglia. Also, a charity drive runs into difficulty when a reformed drug addict is too cheerful. 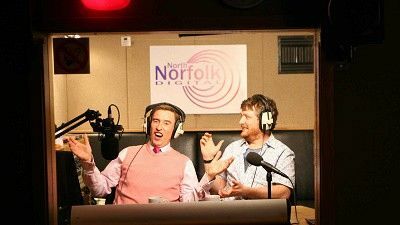 The incomparable Alan Partridge returns for a second series of North Norfolk's favourite radio show. 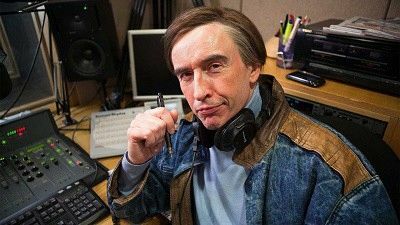 Alan tries his hand at producing a quality radio drama. 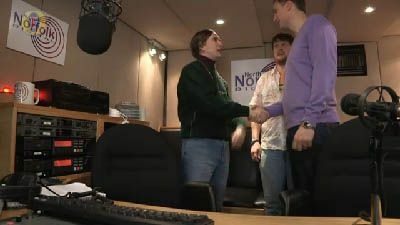 Alan tussles with a newsreader and samples some British wine. With Rosie Cavaliero as the wine expert. Alan talks condiments with his listeners and welcomes Jim Jones to the studio to talk about his health campaign "On your bike". 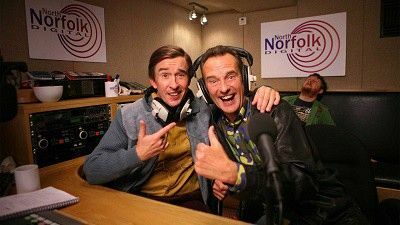 Alan rounds up this weeks news with "Sidekick Simon" and delves into his family history with "Who does Alan think Alan is?". 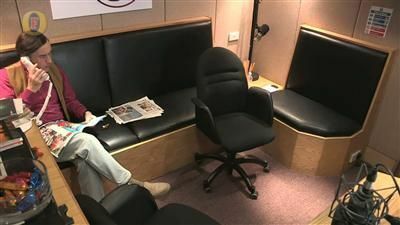 Alan slows things down for a very mellow edition of Mid Morning Matters, and enjoys a massage live on air. 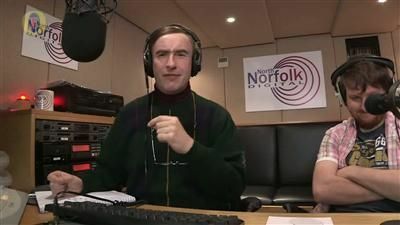 This week Alan is searching for the listeners' favourite Norfolk person, and his tea tastes of chicken.